Athletes going through our “Accelerated Performance Nutrition (APN)” coaching system and on our 4 day “strength and mass” protocol can gain up to 1 pound of lean body mass per week. Below are a few examples of client stats. The first client trained 4 days per week and did 15 weeks of “Accelerated Performance Nutrition”. He gained 15.4 pounds of lean mass and 16.75 scale weight. The next client gained 10.3 pounds of lean mass and 9.75 weight in 9 weeks. The third example athlete was actually on a cutting cycle, so we cut 19 pounds in 8 weeks and changed his body fat by 60% for a net loss of 7.88%. Having a high protein intake was critical to preserve lean mass. Not all athletes have the resources to go through our APN program and as a result of it will have many questions on diet and exercise. Two guaranteed questions are: How much protein should I eat and how do I get my bench press up? Interestingly these questions are interrelated. If your protein intake is high enough, your bench will go up. If your protein intake falls short, your bench will stall or go backwards. Recognizing this, the bench press is our litmus test for protein intake. If an athlete is benching twice a week, and not seeing their bench increase, we know it’s time to assess protein intake. Below is our 5 step method for assessing protein needs, determining current intake, and helping the client implement their protein. Keep in mind that this 5 step method applies to athletes training strenuously at least 3 days a week and WANT RESULTS! 1. Determine your “minimum” protein needs based on your current goal. When assessing clients we want to make sure they are at least meeting the minimum requirement. Once we know they are meeting the minimum requirements, we can adjust upwards based on performance. The minimum requirements are the minimum amount of protein needed to keep the athlete in either “nitrogen balance” or “positive nitrogen balance”. Protein is roughly 16% nitrogen. Nitrogen balance studies measure how much nitrogen is ingested and then how much protein is excreted. An athlete is said to be in balance when nitrogen intake equals excretion. When in balance, muscle mass is maintained. This is very important when losing weight as many weight loss programs lead to muscle loss. A “positive nitrogen balance” means your intake of nitrogen is higher than excretion, and therefore puts you in an anabolic state, which is necessary to gain strength and muscle mass. When clients go through our “Accelerated Performance Nutrition” system, we are more accurately able to calculate their optimal requirements based on their lean body mass (since we don’t need protein to maintain fat mass), and monitor them via body composition measurements every 3 to 7 days. Below are recommendations for athletes using the 5 step method and are based on body weight. Remember these are the minimum protein needs. Fall short of these numbers, and the athlete risks losing lean muscle mass. • Based on research, HPT recommends a starting number of .65 grams of protein per pound of body weight for the goal of “losing fat”. • HPT recommends a starting number of .8 grams of protein per pound of body weight for the goal of gaining strength while maintaining weight. This number works great for athletes in “weight class” sports. Keep in mind you can gain strength without gaining lean body mass due to increased efficiency of the muscle you have. • HPT recommends a starting number of 1 gram of protein per pound of body weight for the goal of gaining strength and gaining muscle mass. • The example below is for a 200 pound athlete. How to quickly determine "protein needs" and assess your "protein intake"
You could be losing muscle. How to calculate if you’re getting enough protein (baseline protein) to stay in postitive nitrogen balance. This applies if you are exercising 3 days per week, exercising strenuously, and WANT RESULTS! 2. Determine how many daily exchanges of protein you need per day. Rather than counting protein grams, we teach counting protein exchanges. A protein exchange equals seven grams of protein. Some people have a hard time understanding the word exchanges. Substituting the word “unit’ instead of “exchange” helps them grasp the concept. An exchange means you can trade this protein source for that source and still consume roughly the same number of grams. Divide your protein grams by 7 to determine how many exchanges you need. See below for our 200 pound reference athlete. Always round up to a complete number. Our 200 pound reference athlete below needs 21 protein exchanges. Also, if athletes are not vegetarians, we want all these exchanges from animal sources. 3. Assess how close your current intake is relative to your minimum needs. Once you know the amount for each meal, check and see if their intake matches their goal? Does their total protein intake (in grams or exchanges) match their goal. If not, they need help. Continue to step #4. Does this match goal exchanges? 4. Determine how many protein containing meals you will eat per day (minimum is 4 to gain size or maintain weight). Meal frequency is a hot topic, and there is no one size fits all protocol. Eat more meals to gain weight, and eat less meals to lose weight. 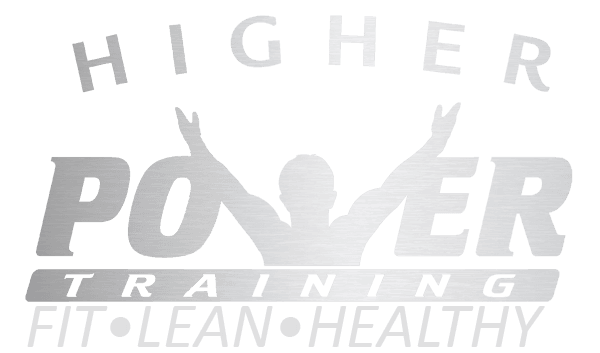 With our HPT nutrition coaching systems, we actually cycle meal frequency to overcome weight gain and weight loss protocols. We find most athletes need at least 5 meals, but the minimum we would give an athlete is 4. Most of our athletes that have gained 16 plus pounds in 16 weeks were eating 7 meals per day. 5. Layout how many exchanges of protein you will need per meal in the chart below. Many options are available. Typically the snacks are 1/3 to ¼ smaller than the main meals. The next step in helping an athlete apply their protein needs is laying out how many protein exchanges they will have per meal. Keep in mind that snacks will be ¼ to 1/3 smaller. Make sure that the meal exchanges you laid out matches the athletes daily exchanges calculated in step 2. One more thing we include on our “protein assessment and tracking sheet” is how to convert a label into protein exchanges. Just divide the protein by 7 on the label to determine number of exchanges. In the example below, there are 14 grams = 2 protein exchanges. See below. No one wants to work hard in the gym, and then possibly lose muscle because they are low on protein or calories. Remember the bench is a litmus test for protein intake, but really you should be assessing all the time. It only takes about 2 minutes to calculate. Eventually you can do the math in your head. Attached is our Protein Assessment sheet so you can start tracking your athletes.